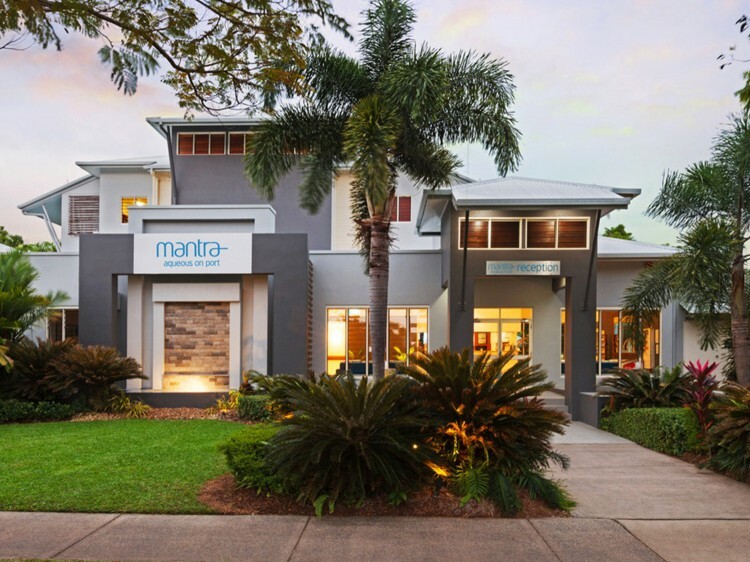 Mantra Aqueous on Port is a stunning blend of sophisticated design and contemporary style accommodation, with a strong aquatic flavour. 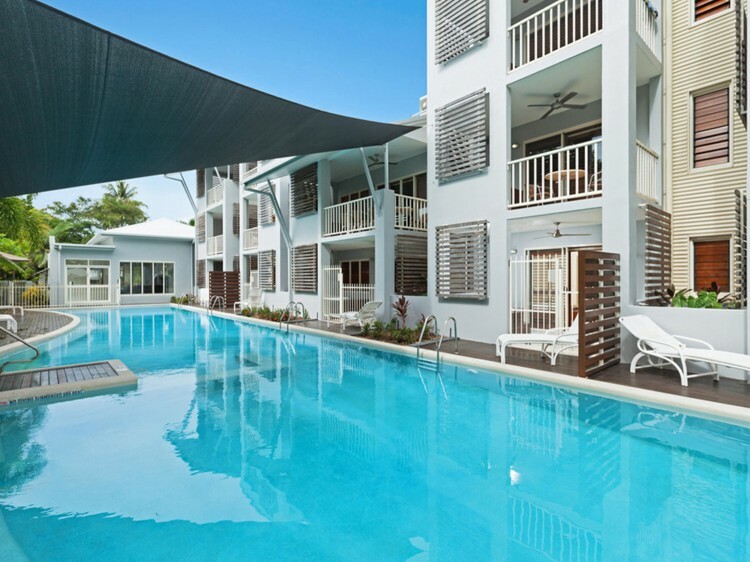 Situated just off Macrossan Street, the hub of the village, experience Port Douglas in Tropical North Queensland, with its distinct ambience an unusual but appealing combination of tropical languor and cosmopolitan sophistication set against the backdrop of the pale blue waters of the Coral Sea. If you're looking for some relaxation and a quality Mantra experience, laze by one of the four lagoon pools, enjoy a barbecue, or indulge in a jacuzzi in the privacy of your own balcony which is a feature of every apartment! 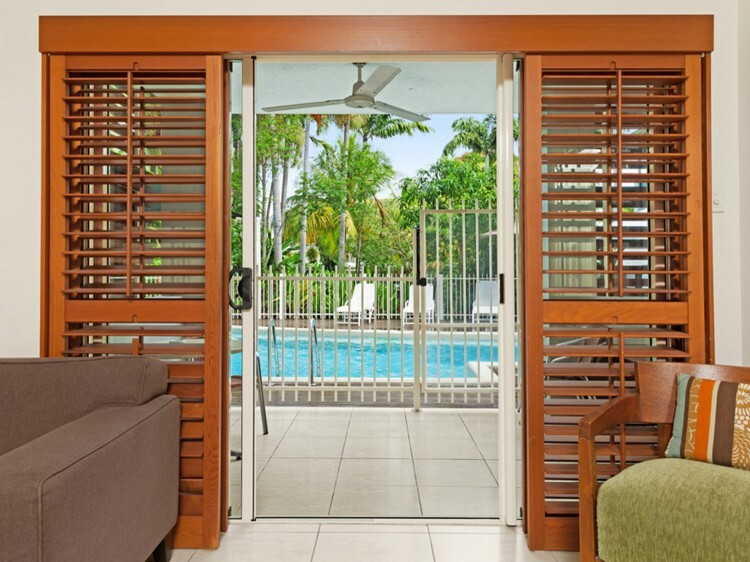 Sample the array of fantastic dining options that have made Port Douglas famous, or simply relax on your balcony while you sip a cocktail and let the world slip past. Mantra Aqueous on Port is perfect for your next romantic escape. Features a queen bed and spacious balcony with spa. Same as the Spa Room with the added luxury of your own swim-up pool deck, giving you direct pool access. Features open-plan living, a king zip bed and your own private balcony with spa overlooking the lagoon pools. Same as the 1 Bedroom Spa with the added luxury of your own swim-up pool deck, giving you direct pool access. Consists of interconnecting Spa Room and 1 Bedroom Spa. 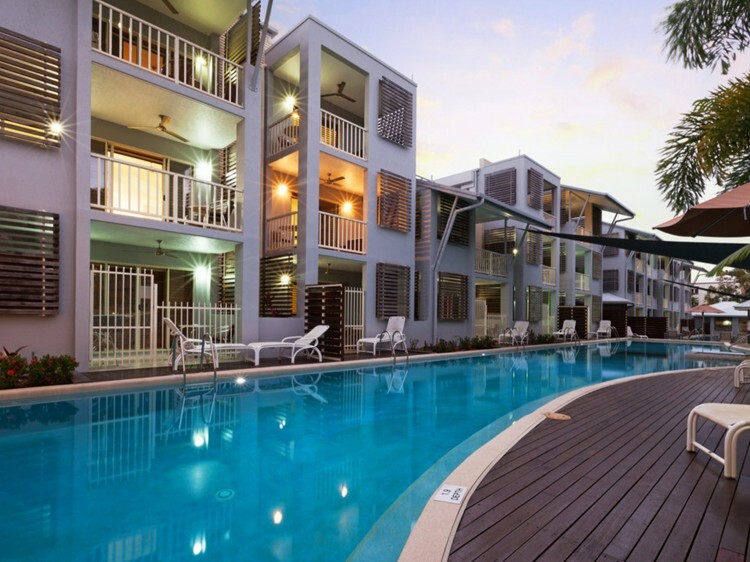 Consists of interconnecting Spa Swim Out Room and 1 Bedroom Swim Out.